Hock Wah's experienced team of customer agents are invaluable in ensuring that you don't miss out on your proper entitlements while being swift and efficient. Imagine this. You're driving home from work after a long day. You get to the first traffic light and take a big yawn. You're tired and are ready to get home. Suddenly, you jolt forward while your seatbelt throws you back into your seat. Your heart is racing quickly, but besides being shocked and a little shaky, you're okay. Someone has rear ended you. You just got into your first car accident. What do you do? Call Hock Wah. Its highly organised team of customer service agents will arrange roadside assistance to tow your car to its garage. A case file will be opened, and an agent will be assigned to your case. He or she will take you through the paperwork that needs to be done and see to it an accident report is made within 24 hours. Who is Hock Wah Motor Workshop Pte Ltd and what services does it offer? This workshop has been working with some of Singapore's biggest insurance companies for about 30 years now. The list includes big names like NTUC Income, Tokio Marine and Etiqa Insurance Singapore. 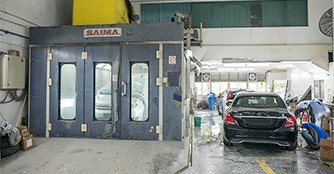 Hock Wah's servicing centre at Bedok specialise in vehicle repair, servicing and accident claims, while the outlet at Tampines focuses on accident claims and spray painting. Using only genuine spare parts, and boasting excellent workmanship as well as customer service, car owners often leave this place knowing that their car is in good hands. Unlike other car workshops that make you fill up a form and wait for an email reply, the customer service agents at Hock Wah will make sure that by the end of your visit, you will leave with an accident report in hand, an approved insurance claim, an idea of what needs to be done to the car and how much it will cost, as well as a stipulated time for collection. What are some of the advantages of taking your car to Hock Wah Motor Workshop Pte Ltd? Besides being well versed in accident reporting and car insurance claims, Hock Wah is also a very well equipped garage. It has the skills and machinery to repair a car's chassis, respray its exterior and check its wheel alignment. Unlike other smaller garages that only specialise in spray painting or repair, Hock Wah is a one-stop solution. All repairs will be done under one roof and under the watchful eye of a Hock Wah in-house technician. This means that you can be sure that the quality of repair is top-notch as your vehicle will not leave Hock Wah's garage until it is done. 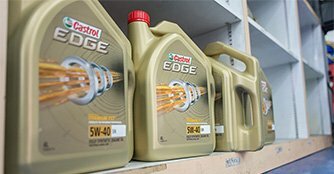 Hock Wah will see that all of the elements of your car are in place for a good and well-balanced chassis setup, all the while using high-quality products by Shell and Castrol. Anyone heard of this workshop "Optima Werkz" ? Which reliable workshop to repair Nissan Sylphy? Any recommended workshop with reasonable labour charges?